Budding meteorologists, take note – Microsoft’s Climatology app is chock-full of esoteric weather information that will have you geeking out for hours. 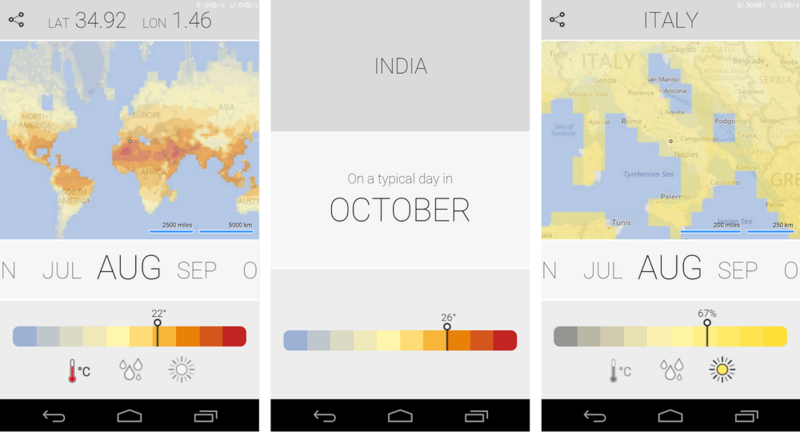 Leveraging technology developed by Microsoft Research, the app is a portal to a vast trove of data, including temperature, rain, and sunniness statistics from around the globe. Ever wanted to look up the humidity of Ghana in March or compare average rainfall in London during February? The Climatology app makes those worthy searches possible. The interface isn’t anything to write home about, as the app certainly doesn’t conform to Material Design or Holo, but it is at least simple and usable. Microsoft will presumably add functionality to the app over time, such as additional filters for weather data, hopefully in the coming months. Go check it out, weather fans.